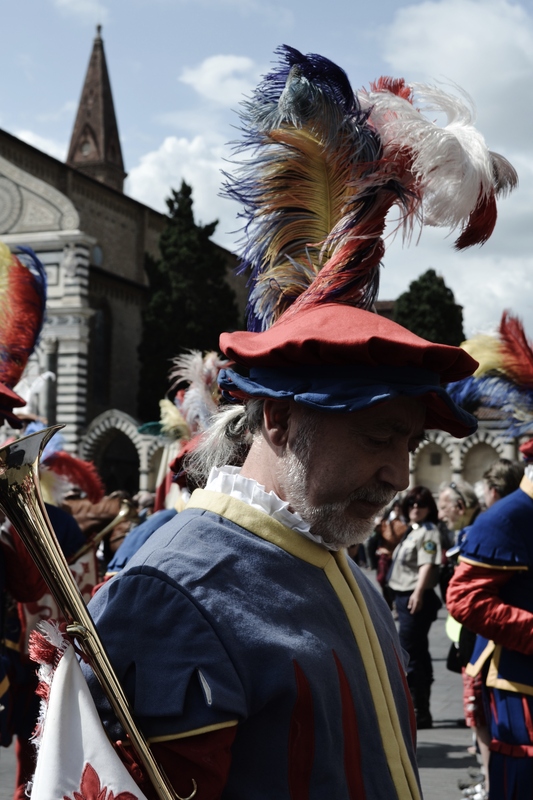 This photo essay explores the traditional clothing and roles of individuals in the parade that precludes Calcio Storico in Florence, Italy on St. John the Baptist’s Feast Day in June 2013. This is part II of my Faces of Italy series. 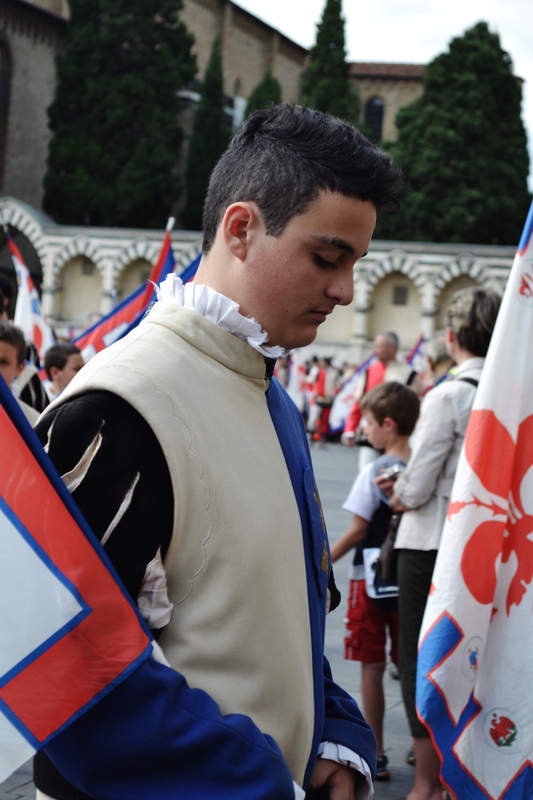 Please visit part I, Faces of Italy. 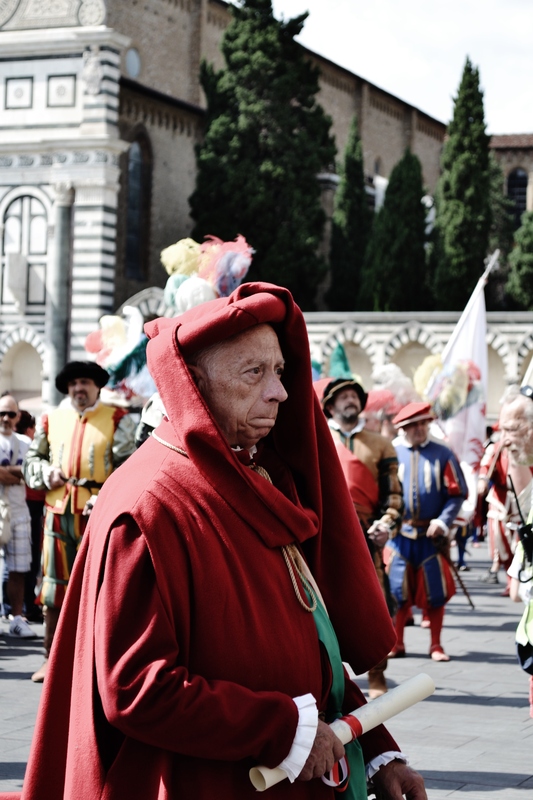 June 2013- A man in traditional renaissance clothing leads the parade through Florence, Italy in celebration for St. John the Baptist’s Feast day and Calcio Storico. 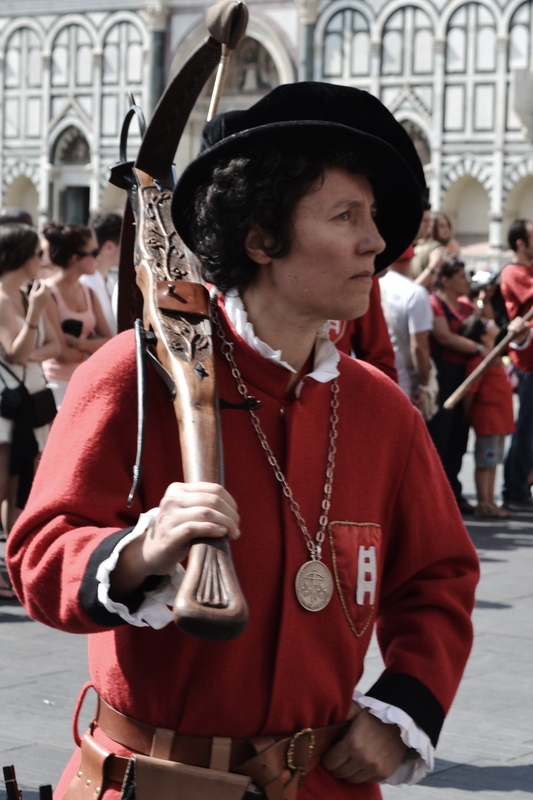 June 2013-A woman, representing a crossbow-man marches through Piazza di S. Maria Novella in a parade celebrating St. John the Baptist’s Feast Day and Calcio Fiorentino. 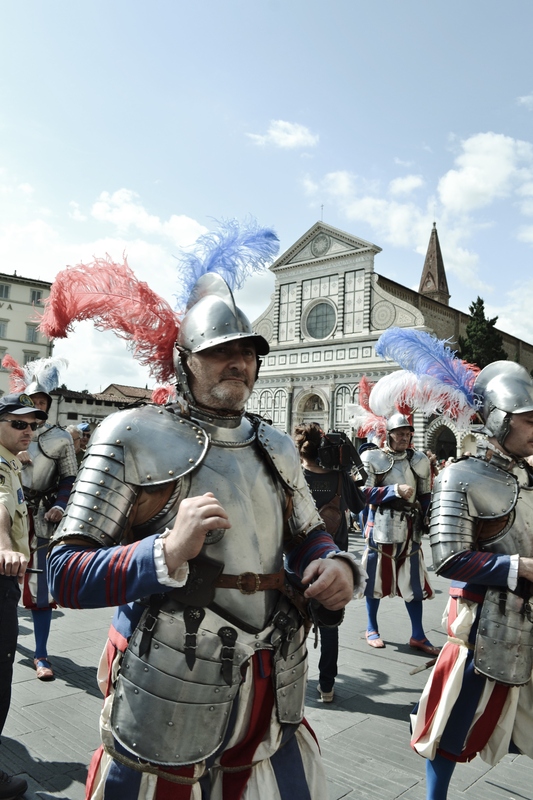 June 2013-A referee for Calcio Fiorentino or Calcio Storico (Historic Footbal) marches with the celebratory parade before the game. 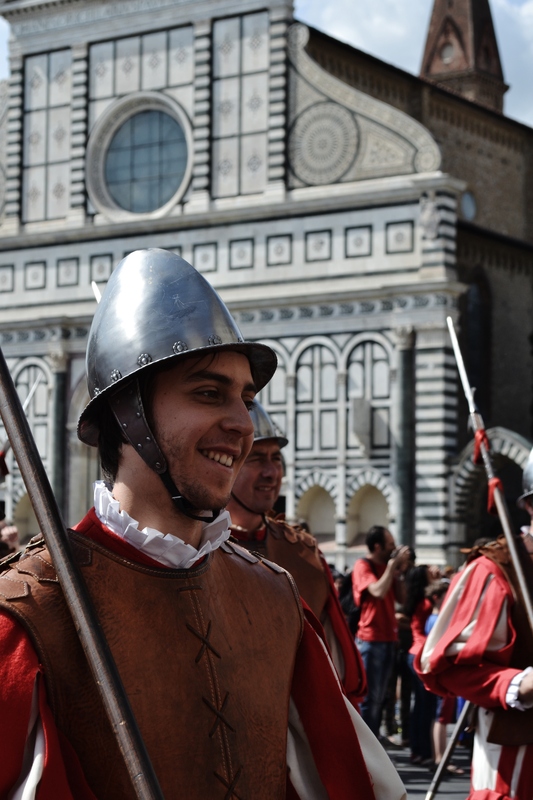 Calcio Fiorentino was established by the Medici as a game to keep the masses pleased and pit neighborhoods against one another. The game is known for its violence as men in Renaissance pants play a game of football meets rugby meets MMA fighting. My history teacher in Italy played when he was 19 and walked away with a broken ankle, a broken wrist, two broken collar bones, both eyes blackened, and several cracked ribs. 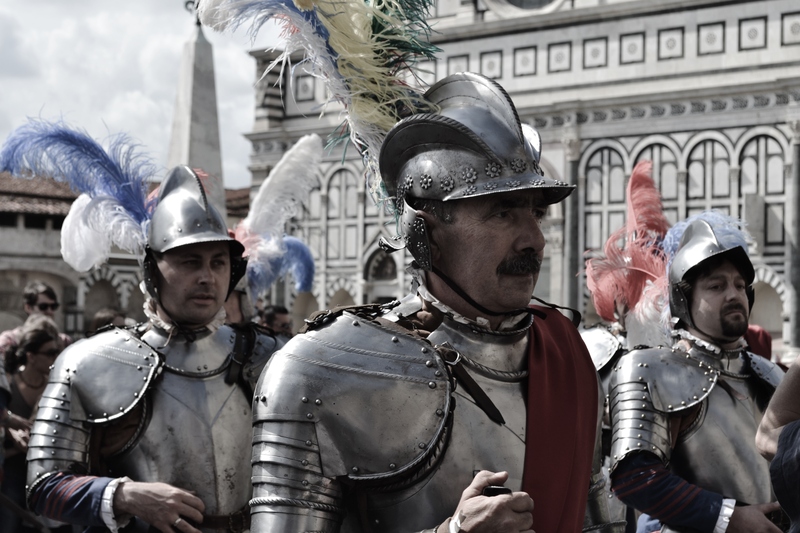 June 2013- Men in renaissance military uniforms march through the streets of Florence, Italy in celebration of St. John the Baptist’s feast day and Calcio Storico. 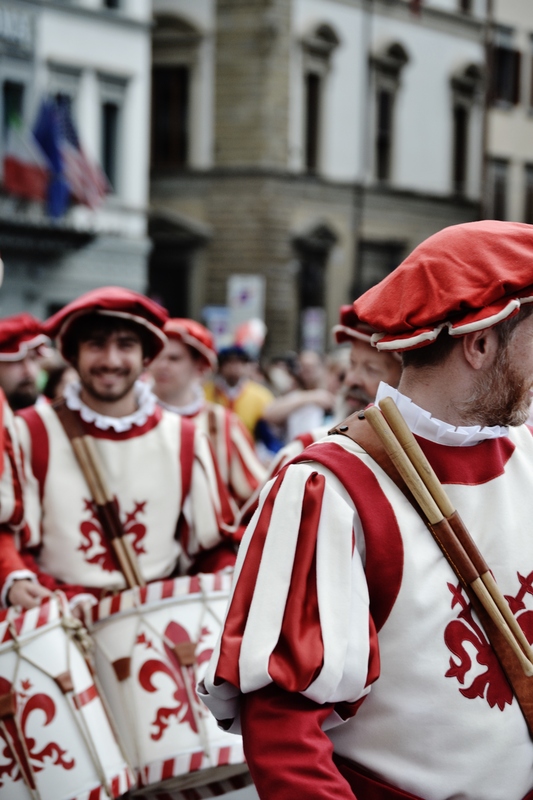 June 2013- A group of men in traditional renaissance costuming act as drummers in a parade celebrating Calcio Storico and St. John the Baptist’s Feast Day. 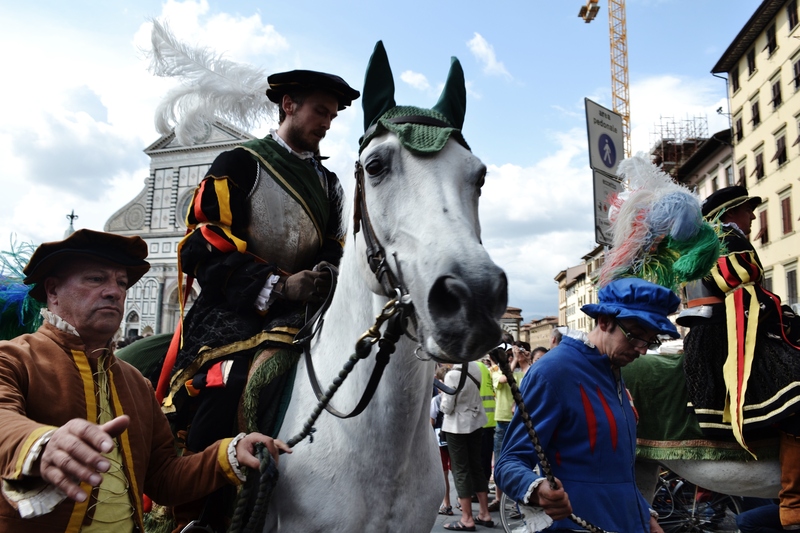 June 2013- A man rides a white stallion through the streets of Florence, Italy in a parade for Calcio Storico and St. John the Baptist’s Feast Day. 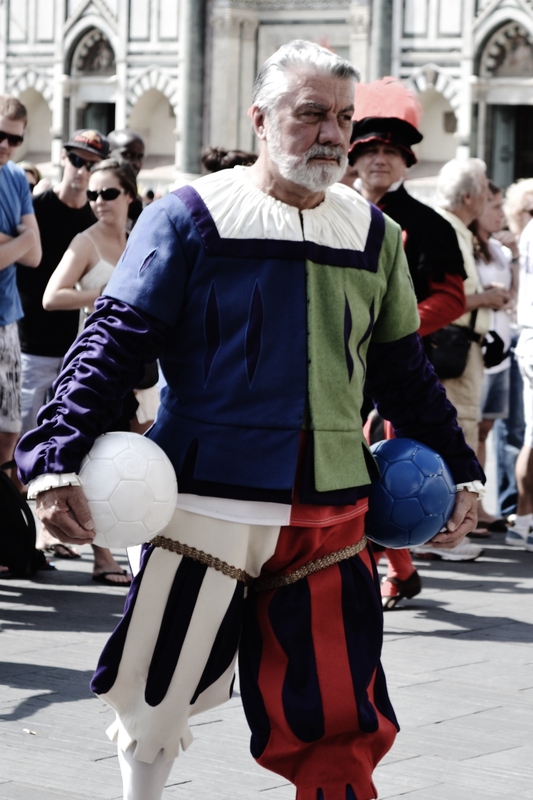 June 2013- A referee for Calcio Storico marches in traditional Renaissance clothing through the streets of Florence, Italy. 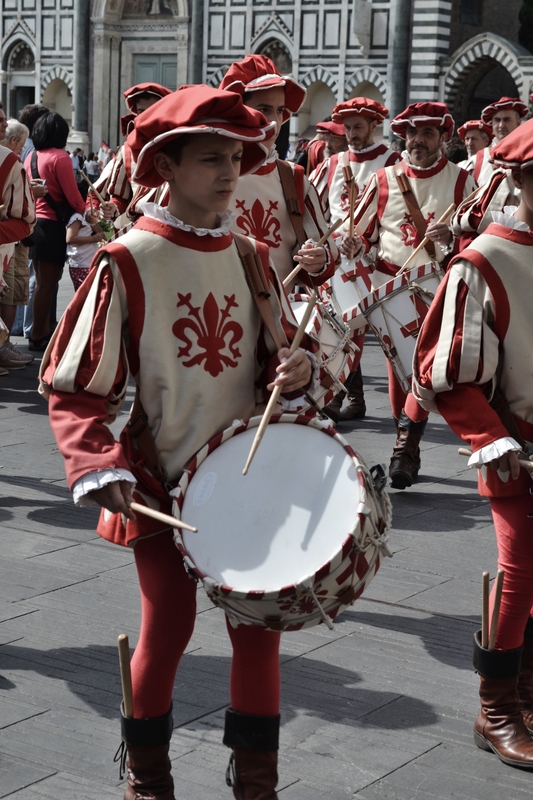 June 2013- A young boy in traditional renaissance costuming acts as a drummer in a parade celebrating Calcio Storico and St. John the Baptist’s Feast Day.